WARNING: Graphic Crime Scene and Autopsy Photos! may be disturbing to some people! Jodi Arias must and will get a new trial. No matter if you think she is guilty or innocent or anywhere between the two. Jodi Arias, no different than you or I, has a constitutional right to a fair trial. This should not stand and the higher courts or the U.S. Supreme Court should reverse the conviction and remand the case back to court for a new trial. Her are the reasons why this was not a fair trial. Doctor Horn was called to the stand 3 different times and on all 3 occasions he answered the persistent questioning of prosecutor Juan Martinez about the order of injuries. It is very unusual and curious to be called to the stand at different times to testify about the same thing. Doctor Horn stated over and over again that the gunshot was last and probably post mortem. 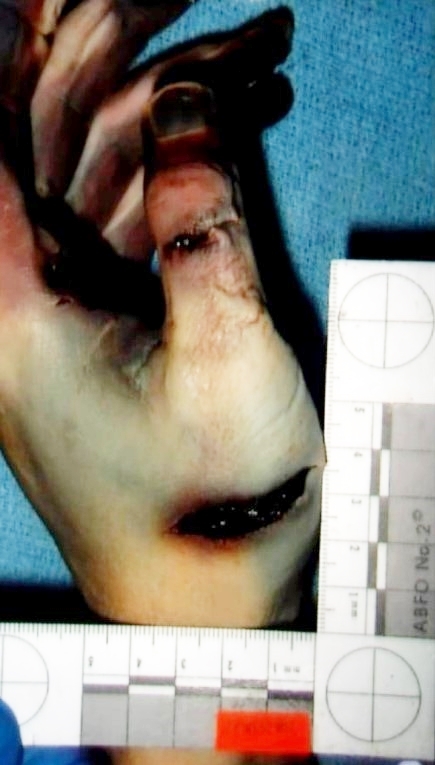 a) No blood was found at the wound entrance (the blood had been washed off of the victim). e) According to Dr. Horn, the medical report meant to say that the outer membrane of the brain was penetrated. But, he said there was a typographical error and the report said it was not penetrated. (There just happens to be a “typo” right at the point where the report is discussing whether or not the brain was penetrated. What a coincidence!) Also when any M.E. reports penetration of the outer membrane of the brain, the report then goes on to describe this penetration, the size the direction, etc. This lends credence to the accusation that the “typo” is no typo at all. f) There was no blood found in the wound tract (The wound tract goes straight through the nasal cavity. 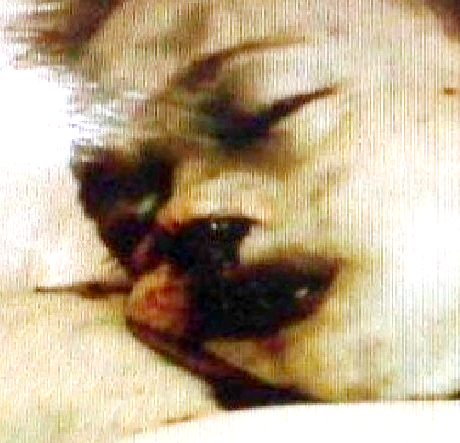 In the shower crime scene photo, there is clearly a large accumulation of blood below the victim’s nostrils. not much blood coming out the mouth. 5. 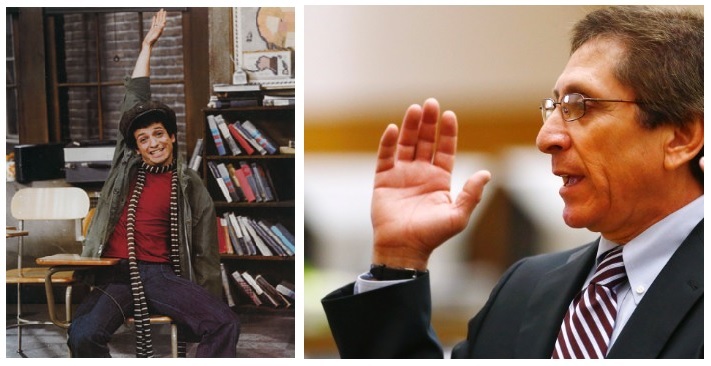 Detective Flores testified that the order of injuries changed from gun first to gun last when prosecutor Juan Martinez asked Detective Flores to meet with Dr. Horn to discuss possible aggravating circumstances for the death penalty. 6. Travis Alexander was left in the shower with his left side facing out. If the victim was shot last, it must have been as he was lying motionless on the bathroom floor. So why is the shot such a badly placed shot? Also in order for a shot to be made at this angle, the barrel of the gun needs to be around 8 to 12 inches off the floor. This is not a reasonable or natural position. 7. 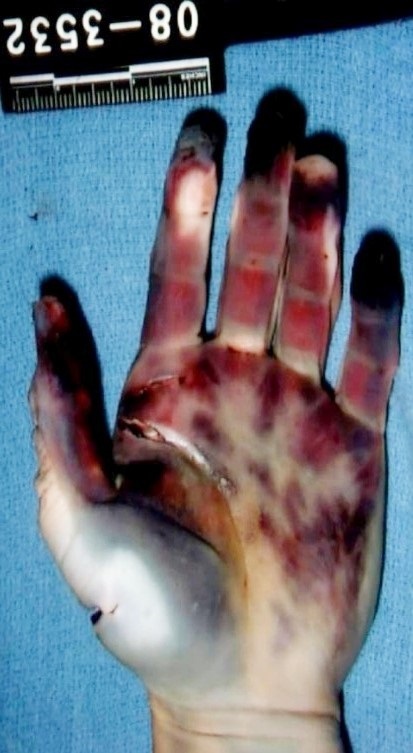 If Alexander went to the sink after suffering the deep incised wounds to his left hand, blood would be pouring out from his left hand and the sink would be covered with blood on the left side. There is none of this on the left side of the sink. 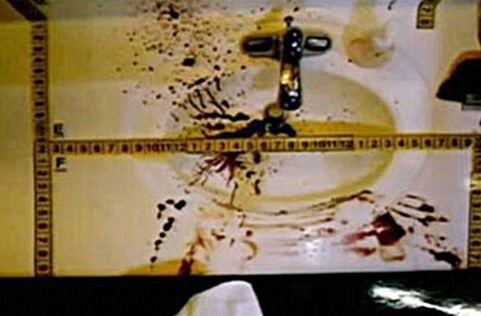 This contradicts the prosecution theory that Travis Alexander was stabbed in the shower. This reinforces the defense theory and casts doubt on premeditation. 8. Shooting someone post mortem is the infliction of “gratuitous violence”. This perfectly fits the requirements for the Heinousness and the Depravity prongs of the “especially heinous, cruel and depraved” aggravator. Incredibly, Arias was only charged with the cruelty prong of the aggravator. 9. Felony murder does not in any way apply to this case if the gun was last. If the gun was first, and Travis was wounded, prompting Arias to switch to a knife to kill Alexander to cover up her presence in the home, then this is the only way that Felony murder could possibly, technically fit this case. 10. Dr. Horn was involved in two other cases. One was a wrongful prosecution seeking the death penalty. This was a grandmother who owned a day care center where a baby died. The other was a wrongful conviction. This was a self-defense case against a Mormon retired school teacher with 7 children who was attacked on a hiking trail by a man and his two dogs. In both cases the indispensible part of the case was the testimony and the opinion of Dr. Horn. In both cases he was completely wrong. 12. If Alexander was stabbed first in the shower, there is already water in the shower. The wounds can be seen easily. There is no need to go the bathroom sink and look in the mirror. Alexander must not have known what happened to him, and he must have wanted to find out. How could Alexander turn his back on his attacker and go to the sink in the middle of a knife attack? Even the prosecutor, Juan Martinez, proved at trial that he doesn’t believe this. Yet he persuaded the jury to believe yet another idea that he himself does not believe. 13. 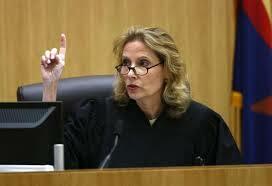 If you are a juror and you believe Dr. Horn, then Jodi Arias is guilty of 1st degree premeditated murder. There is no need to even present a defense or any further testimony or evidence. Therefore the testimony of Dr. Horn constitutes reversible error in the case of ArizonaState v. Jodi Ann Arias. Jodi Arias’ constitutional right to a fair trial has been violated. On top of this there are numerous other valid and cogent appealable issues. The State of Arizona’s cruelty prong of the “especially heinous cruel and depraved” aggravator is in violation of the Eighth Amendment to the United States Constitution because the statute along with the jury instructions are too vague and can be applied to almost any murder and used to target a particular defendant with the Death Penalty. The possibility that the jury was tainted by the omnipresent media coverage which was almost impossible to avoid. The jury should have been sequestered. Evidence exists that jurors discussed the case outside court and perhaps on social media. A juror stated that the jury was 12 – 0 for the guilty verdict at the very beginning of deliberations. The possibility that the jury did not understand jury instructions, for which direct evidence appears on video. Prosecutorial misconduct throughout the case and the trial. There is direct video evidence that Juan Martinez lied more than once during the commutation hearing of Robert Towery, in order to secure his execution. The prosecutor purposely tampered with evidence during the trial (dropped the camera). The prosecutor deliberately withheld evidence until just before the scheduled start of the trial. The prosecutor suborned perjury in the testimony of Dr. Kevin Horn. The judge failed to control the courtroom, allowing such things as the victim’s family’s purposeful, non-verbal communication with the jury throughout the trial. This can be seen in process on many trial videos. Witness intimidation perpetrated by the family and friends of the victim. One witness was called before the trial began and threatened if he testified for the defense. The witness was called shortly after the prosecutor released a list of potential defense witnesses to the victim’s family. There is anecdotal evidence that other witness on the list were successfully intimidated into refusing to testify. An Alexander family member was involved in threats and intimidation of Alyce LaViolette during and after her testimony. Dave Hall slandered defense mitigation witness Patty Womack on National television after she and her family were threatened and intimidated in the social media. If the higher courts find even a single one of these factors to be true, Jodi Arias may get a new trial. We contend that all these factors are true. Even Hannibal Lecter or Charles Manson has the right to a fair trial. Whether or not she got the result you desire or whether she deserves the verdicts makes no difference. If these verdicts are allowed to stand, we are all at risk of having our constitutional rights violated in the future. No one who watched this trial should be able to say it was a fair trial. Did you see the emotion shown by Judge Sherry Stephens at the end of the first penalty phase? This is reason for a new trial right there. The judge is clearly prejudiced towards the prosecution and a death sentence. The jury did not reach a unanimous decision, so what? What was that display of emotion for? Maybe it should be mandatory in a capital case that the defense must provide an independent autopsy and Medical Examination.